A race-against-time thriller for fans of Tana French and Megan Abbott: to save a missing girl, FBI Agent Elsa Myers may have to lose herself... Even as her father lies dying in a hospital north of New York City, FBI Agent Elsa Myers can't ignore a call for help. A teenage girl has disappeared from Forest Hills, Queens, and during the critical first hours of the case, a series of false leads obscures the fact that she did not go willingly.With each passing hour, as the hunt for Ruby deepens into a search for a man who may have been killing for years, Elsa's carefully compartmentalized world collapses around her. She finds missing people, but she knows too well how it feels to be lost. Everything she has buried--her fraught relationship with her sister and niece, her self-destructive past, her mother's death--threatens to resurface, with devastating consequences.Can our most painful childhood secrets be forgotten? Or will they always find their way back into our adult lives? 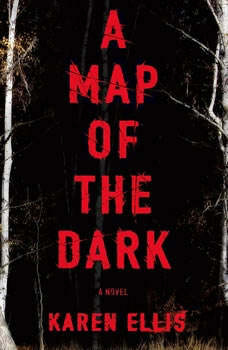 These questions lie at the heart of A Map of the Dark, a riveting portrait of a woman haunted by her family legacy, and a race-against-time thriller.